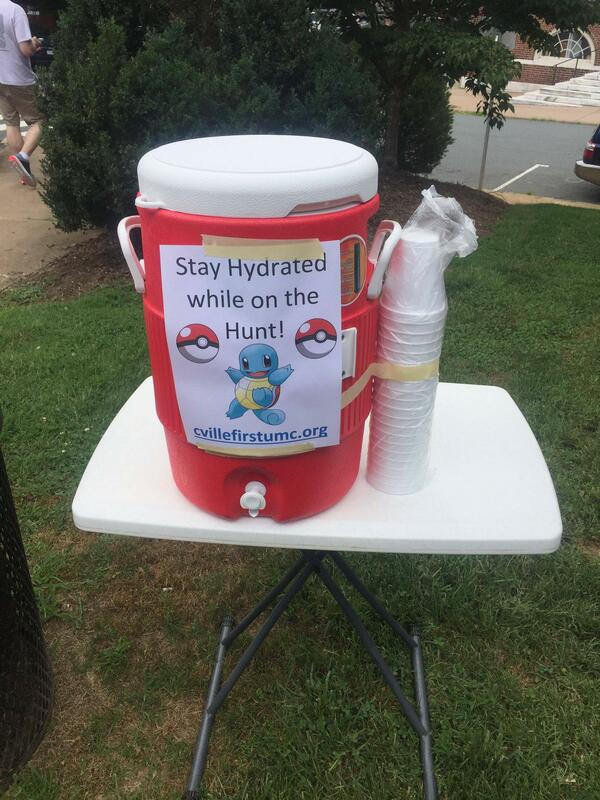 Share the post "4 Critical Marketing Takeaways From the Viral Success of Pokémon GO"
Ready to catch your next job opportunity? Apply today! Last week, a brand that many people probably assumed was obsolete was given a fresh breath of life by embedding itself in the hearts and pockets of millions around the planet. If you’ve seen someone intently aiming their smartphone at an empty sidewalk and flicking the screen, or are suddenly seeing Facebook posts from your mother talking about Pikachu, you probably know what I’m talking about. Brands large and small are hopping on the Pokémon Go bandwagon, and many are finding great success. The game motivates users to go out in their communities and walk around, often at times and places that they normally wouldn’t be out. Players will wander about searching for a rare Pokémon, or compete for control over a geographic region for their team. That’s particularly welcome news for local brick-and-mortar establishments who are suddenly seeing a boost in nearby foot traffic. It’s not just businesses, either. Churches and other religious institutions have been shown to be common hosts for virtual Pokestops and “gyms,” and some have seen the influx of traffic. Imagine a mobile app similar to Pokémon GO, only more robust and with more content. A free augmented reality experience with a well-developed plot and evolving story, location-based interactivity and full team integration. Doesn’t that sound amazing? You might be surprised to learn that this game already exists…and has for several years. Ingress, a product of software developer Niantic, has been on the market for a while now. It even came standard on many Android devices, as Niantic was originally owned by Google. Niantic was also instrumental in the development of Pokémon GO, which has been far more successful despite being theoretically inferior in many ways. It has more features, more in-depth engagement, and more content. Ingress has about a million active players around the world after several years and support from Google. After a couple of weeks, Pokémon GO has at least 7.5 million in the US alone. What’s the difference? Ingress had to build an image from the ground up, and it struggled to sell its relatively intense sci-fi experience to casual smartphone users. By comparison, Pokémon GO’s approachable brand and familiar faces like Pikachu have drawn in many people who otherwise would never consider such an experience. That’s the power of riding off the success of a well-executed brand marketing executive search. I distinctly remember living through the zenith of Poke-fever. I collected the cards, I played the games, I got up early on Saturdays to watch the cartoon and engaged in vicious fantasy battles with my brothers and our toys. That was two decades ago. I was seven. Twenty years later, many of my peers are just as crazy for Pokémon GO as any children today–perhaps moreso. The nostalgic reconnection to a fun, nostalgic part of the 90’s is tickling the fancy of many from older generations. I’ve seen middle-aged couples in the park stop for a short detour to catch a Pokémon. The fellow who rolled my burrito for lunch earlier was excitedly telling me about the Eevee that was out in the parking lot of his restaurant. Even my best friend, who wasn’t particularly into Pokémon when she was a child, is now constantly wandering off to find a nearby critter or Pokéstop (much to the chagrin of her dog who has to follow along in the Atlanta heat). It’s too bad he can’t evolve, too. Marketers are often told to specifically design and heavily customize their messages offerings for various target audiences and personas. We’re supposed to give everyone a unique catered experienced determined by our counterparts in marketing analytics staffing. But while Pokémon as a concept has almost always been oriented to children, there remain several generations of people who have grown up with the monsters and their accompanying media. In fact, the app seems a hit across many demographics: age, gender, economic status, geographic location and more. If you have a great product, you can use it to unite people rather than divide them into buckets of data points. We’ve been told for years that the alternate reality advent was just around the corner, but it’s never really seen widespread adoption. In fact, lukewarm adoption of AR apps and technology have left many marketers and tech experts wondering if the average consumer had any interest in this experience. Now we know that there is demand for AR content–if you can provide it in a fun, approachable, user-friendly manner. Snapchat has recently shown success with its popular interactive lenses; filters that can dramatically change your picture-taking experience. And now Pokémon GO serves as another strong example of how an AR product can see significant uptake. If you were about to dismiss alternate reality media as a marketing channel and turn your attention elsewhere, it might be wise to give it a second chance.